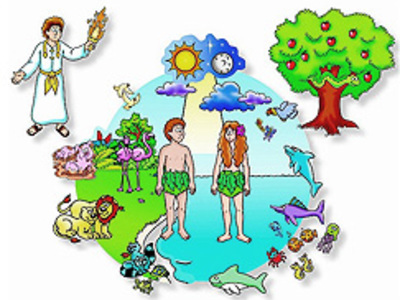 Creation is a doctrinal position in many religions and philosophical belief systems which maintains that a single God, or a group of gods or deities is responsible for creating the universe. The theological implications of creation may take a variety of forms, the most innocuous being that of a religious dogma, although there are varieties of such a belief fully compatible with a scientific point of view. 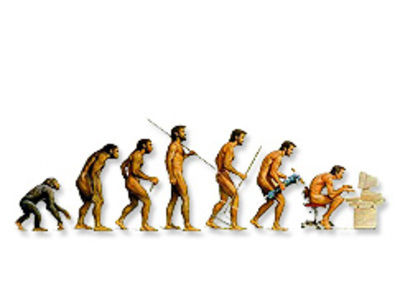 In biology, evolution is the change in the inherited traits of a population from one generation to the next. These traits are the expression of genes that are copied and passed on to offspring during reproduction. Mutations in these genes can produce new or altered traits, resulting in heritable differences between organisms.